The old ruined Aghavallen Protestant church, Rusheen, just NW of Ballylongford, Aghavallen par (W of Tarbert), Co.Kerry (see map). 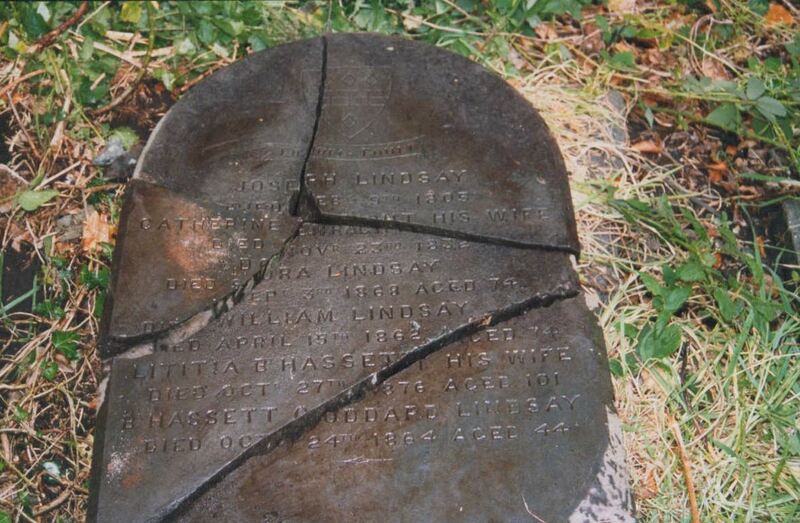 Burial place of Letitia Blennerhassett and her second husband's family, Lindsay. 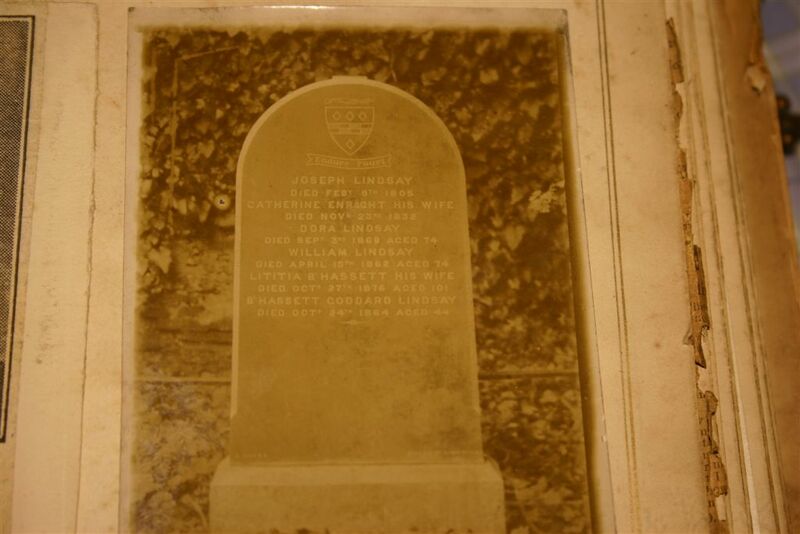 "The Story of Aghavallin Churchyard", by Padraig O Concubhair. Local Millennium Committee, Ballylongford, 2000. 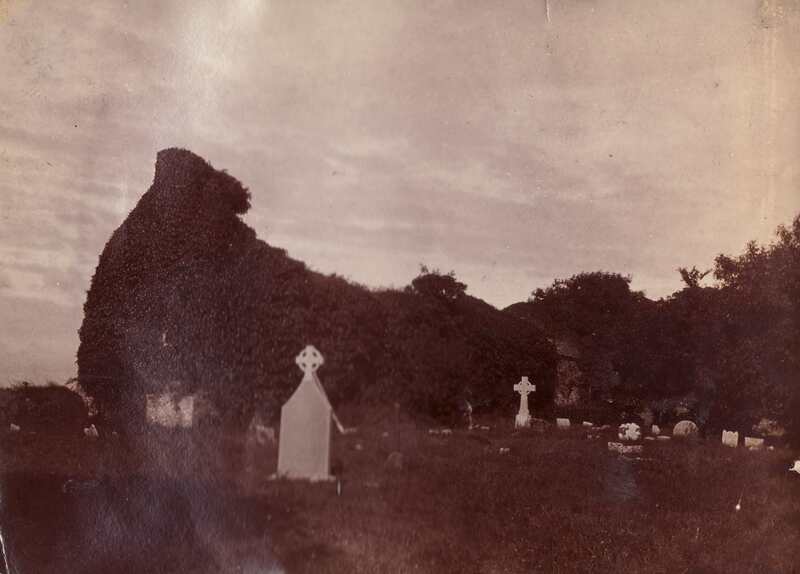 The ruined Aghavallen church, near Ballylongford. From old Lindsay photo album. See also 1990 photo by Jackie Lindsay. See 2016 photo of side of church. 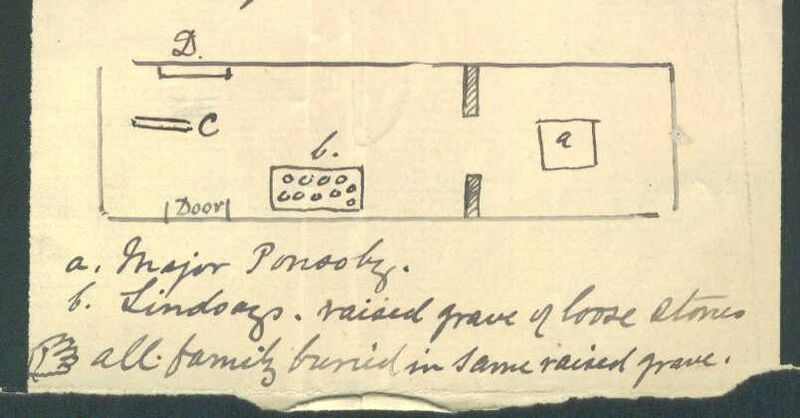 Map of Ponsonby and Lindsay graves inside Aghavallen church. Map by Miss Hill in [Letter, 1898]. 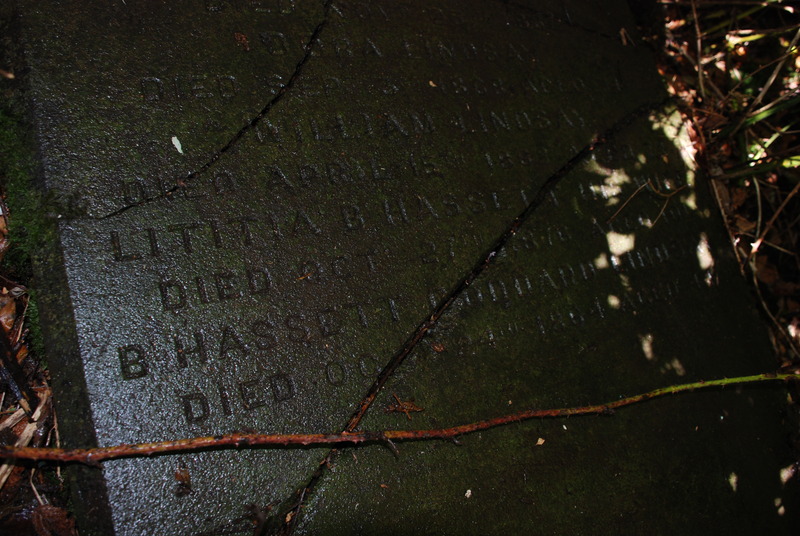 Miss Hill talks about attending Letitia Blennerhassett's burial here in 1876. 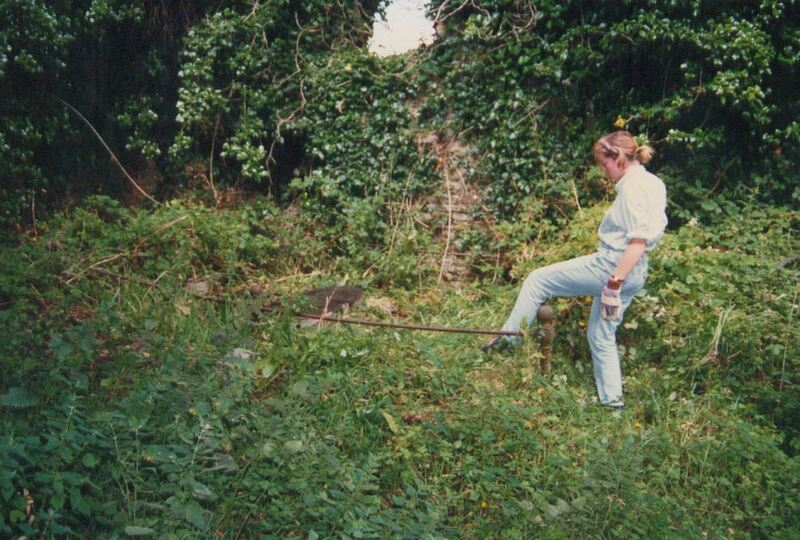 She says Letitia's son Joseph had dug the grave at the location marked "C". 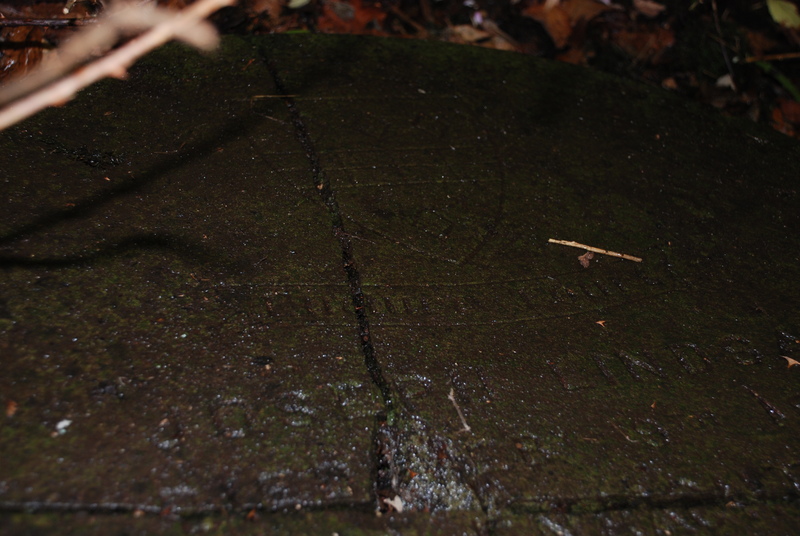 But "some parties named Twyford jumped into the grave and claimed the ground as theirs". Joseph had to dig another grave for his mother at location "D". Note that "b" on the map is where the Lindsays are buried. On a 2011 visit, there was nothing at "b" (no railings, no gravestone). There were railings in the undergrowth at "D" but it was inaccessible. Think the gravestone must be at "D". 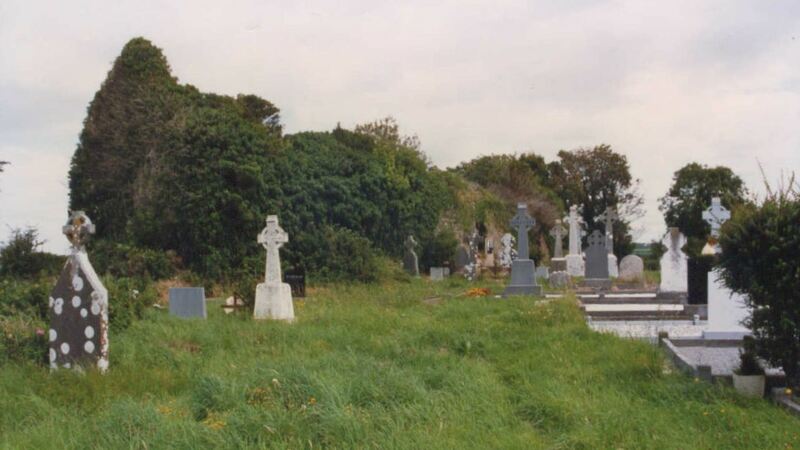 Location of the Letitia Blennerhassett grave (lying flat), Aghavallen Church. See full size. Photo by Jackie Lindsay, 1990. The grave is within the walls of the ruin. It is now inaccessible. The ruin is blocked up as unsafe. And even inside the ruin, the path to the grave is blocked by thorn growth. 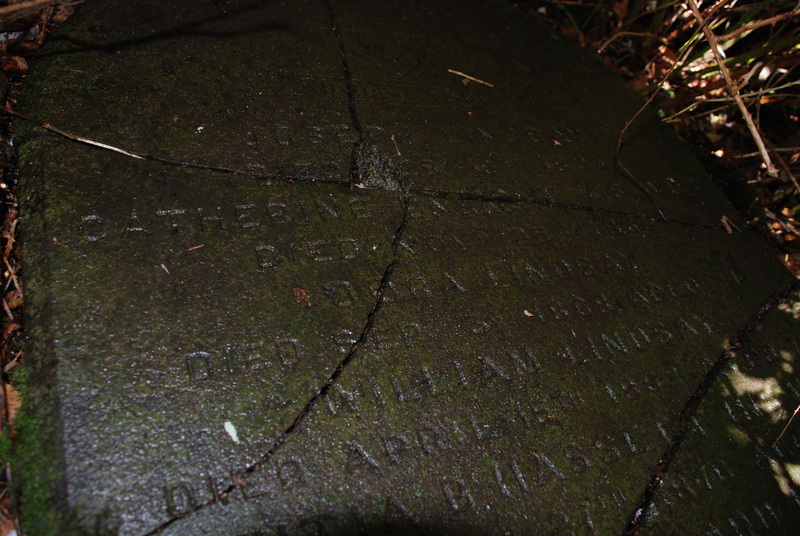 Grave of Letitia Blennerhassett and Lindsay family (lying flat), Aghavallen Church. See also 2008 photos by George Crofts. See top and middle and bottom. 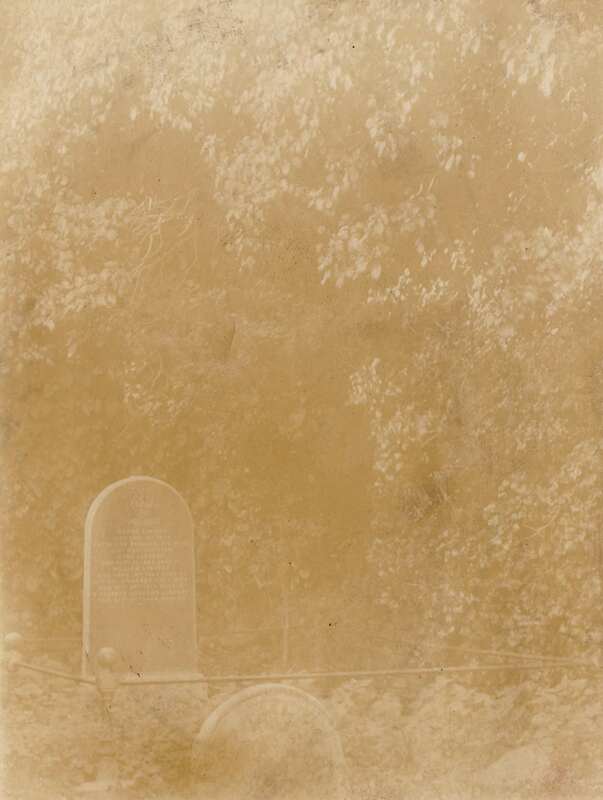 Old photo of the above grave when it was upright. 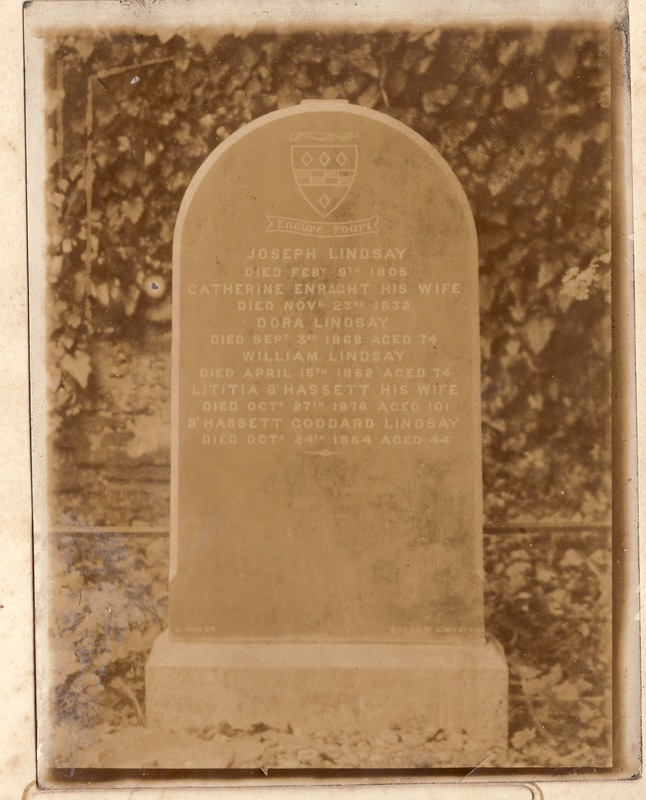 From old Lindsay family photo album. Photo probably taken by Rev. 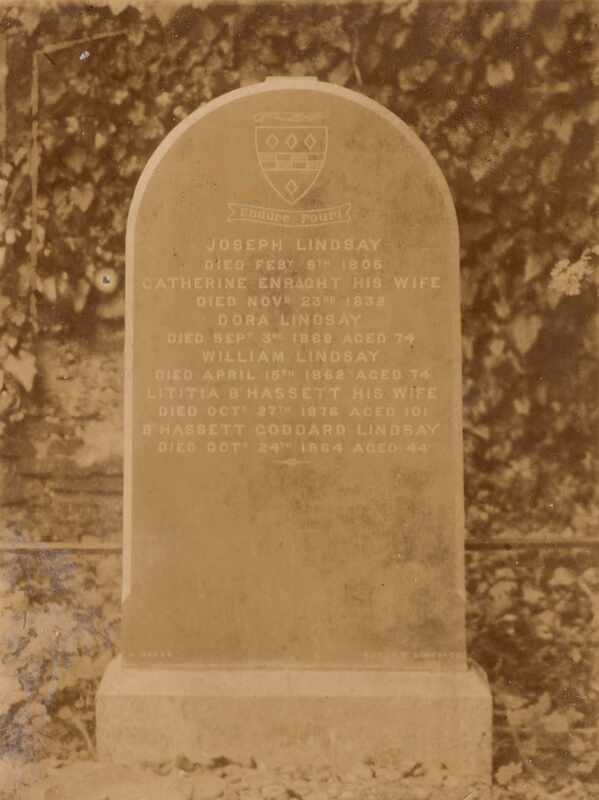 Thomas Enraght Lindsay in 1896 or 1897. See other scan. Courtesy of Jackie Lindsay. 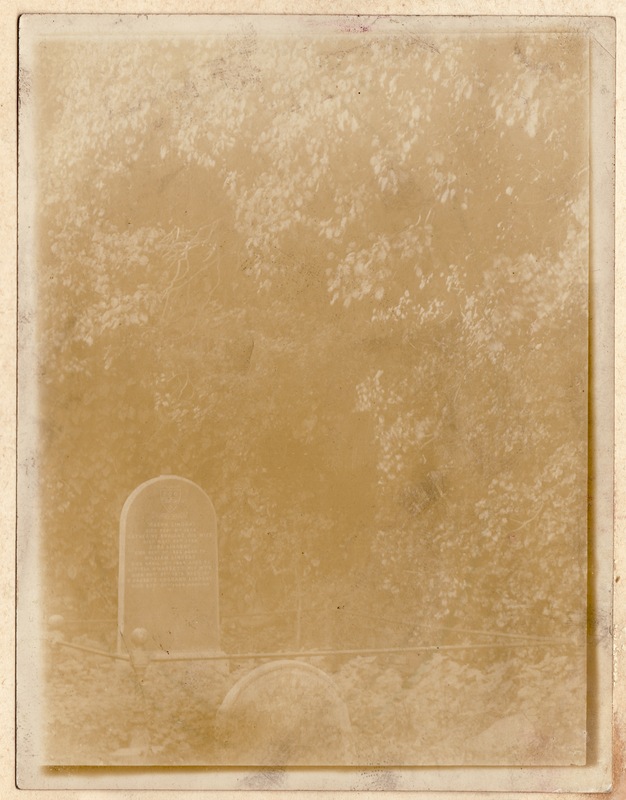 Wider shot of the grave when upright. 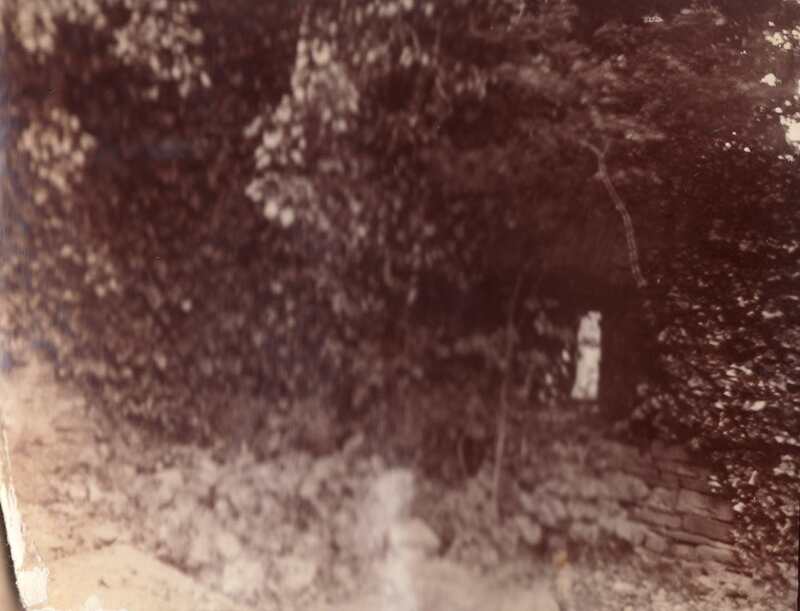 Must be photo at Aghavallen church.